Partner practicing at Evans Keane LLP; personal practice concentrated in all areas of litigation, including product liability, real property, construction, intellectual property, bankruptcy, agriculture, creditor’s rights, banking and collections. Graduated in 1978 from Brigham Young University with a Bachelor of Arts degree in mathematics. Obtained Juris Doctor Degree from the University of Idaho in 1982. 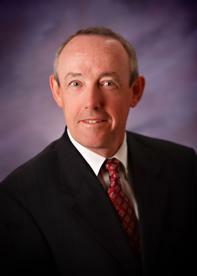 Idaho Supreme Court, Honorable Robert E. Bakes (1983-1985). Member of the Idaho State Bar (Member, Bankruptcy section, Litigation section); Admitted to Practice before the United States District Court for the District of Idaho; the United States Circuit Court, Ninth Circuit; and all courts of the State of Idaho. Kirk v. Wescott, 160 Idaho 893, 382 P. 3d 342 (Idaho 2016); Just Med, Inc. v. Byce, 600 F. 3d 1118 (9th Cir. 2010), WL 2479887, 2007, OPR.L. Dec. P 29, 430, 84 U.S.P.Q. 2d 1174 (D. Idaho 2007); Hogg v. Wolske, 142 Idaho 549, 130 P.3d 1087 (2006); State Ins. Fund v. Jarolimek, 139 Idaho 173, 75 P.3d 191 (2003); Primary Health Network v. Dept. of Admin., State of Idaho 663, 52 P.3d 307 (2002); Walker v. American Cyanamid Co. 130 Idaho 1123, 948 P.2d 1123 (1997); Hawks v. Epi Products USA, 121 Idaho 281, 923 P.2d 988 (1996); Hawley v. Green, 124 Idaho 385, 860 P.2d 1 (1993); In re Bybee, Sr.; Krommenhoek v. A-Mark Precious Metals, Inc., 945 F.2d 309 (9th Cir. 1991); Fifty+ reported cases in Idaho Bankruptcy Court Report (“IBCR”) involving commercial litigation in the Fed. Bankruptcy Court, Dist. of Idaho, for Trustees and Creditors. Recipient, American Jurisprudence Awards for Civil Procedure and Torts. Clerkship Idaho Supreme Court, Hon. Robert E. Bakes, 1983-1985. Lecture and Instruction: “Collecting Judgments in Idaho”, National Business Institute, 1993 and 1994; “Collection Law in Idaho,” Lorman Business Institute, 1994 and 1995; “Basic Bankruptcy Considerations for Creditors,” NALM, 2000; “Legal Aspects of Credit,” National Association of Credit Managers, 2001; “Trustees Avoiding Litigation,” Advanced Bankruptcy Class, University of Idaho, 2002; Former Special Deputy Attorney General for Idaho; Lecturer – Stewart Title Claims College 2003.